Somnambulant Gamer: VR is Finally Ours. Here's Why We Chose the Vive. VR is Finally Ours. Here's Why We Chose the Vive. We have talked sporadically about VR here on the site. As the technology has gained ground we have found ourselves increasingly anxious to take part in the games and experiences offered by it. MoreGun and Ssalarn may have found the PlayStation VR suited their need well, Wesley and I have felt for a while now that the Vive offered more what we hoped for from a VR experience. Well, the wait is finally over, and we have acquired Vive, but I'd like to take a moment or two to talk about why we went the way we did. There is a lot of news out there about the Oculus and its "more reasonable" price tag. I'll admit, at about $500 as opposed to the $800 for the Vive, the Oculus is tempting. However, I still can't separate my wallet from the issues I have with the Rift's Privacy agreement. 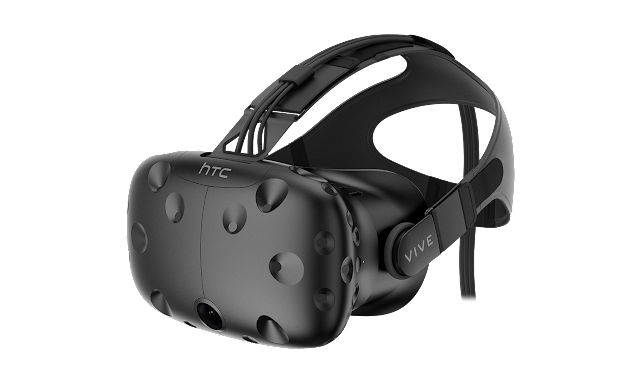 Apart from that however, I think that the price tag on the Vive is more than reasonable considering the quality of the experience you get from it.The Room Scale VR on the Vive is incredible and very well designed. The Oculus does not offer anything close to the level of immersion that the Vive does without investment in a third sensor which brings the price for the whole bundle up to $657. When you're less that $150 away from meeting the price for the Vive, why not just save the extra money for the better experience? I really shouldn't be focusing on the price of the devices anyway. Either one of the headsets require a fairly high end PC to run the experience, an investment that easily runs in the thousands of dollars for a stable machine. The argument that one machine is better than the other based on price alone really doesn't hold water with this consideration, so I apologize for stooping to that level. Let's stick to the differences between the two devices. Let's talk design, The Oculus does have a smooth, sleek look to it and fits fairly comfortably, so long as you don't wear glasses. Some people will try and tell you that you can wear glasses with the Oculus, but all of the research I've done and the experiences that Wesley has had with the Oculus shows that it requires more than a little work to make it fit on a person that wears glasses. The Vive can be worn over glasses without issue. The Oculus Touch controllers are light and easy to use, but feel fairly small in the hand and are not comfortable to hold for long periods of time. The room scale VR on the Rift provides a mostly smooth experience, but requires a third sensor, offers a smaller play space and even the Oculus website advises that Room scale tracking on the device may not work as expected. With all things considered, it isn't hard to see (I hope) why we chose the Vive over the Rift. We are incredibly happy with the headset so far and will have plenty of content upcoming about the thing's we've been playing with it.